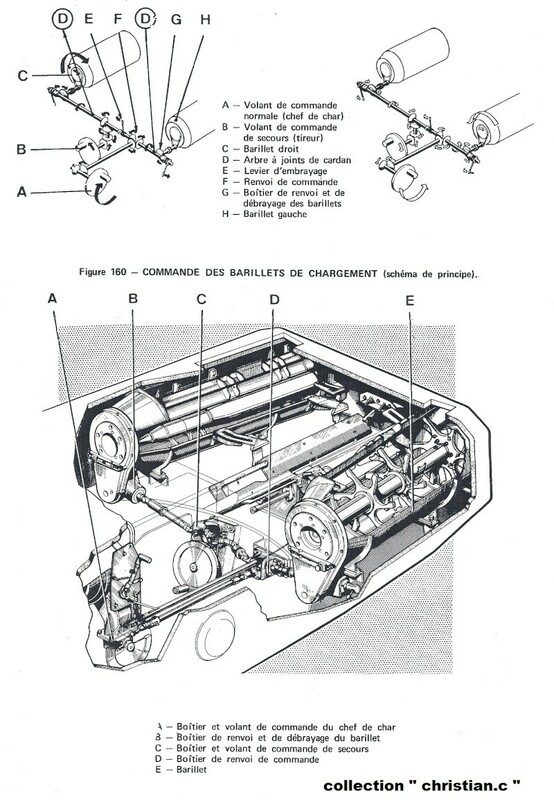 were the guns of the french tanks able to operate only when autoloaded or they could operate with manual loading too? 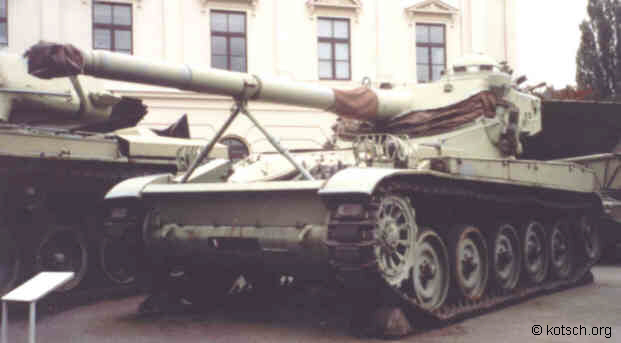 The AMX13 could if needed be loaded one round at a time by the commander (but very slowly) and the 6 round magazines could also be loaded from the inside (again very slowly taking nearly twice as long as normal due to the very limited room). Needless to say they were emergency procedures rather than standard. 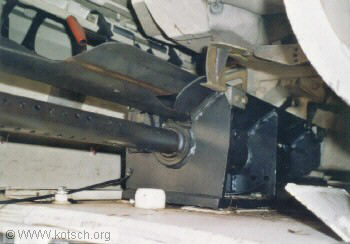 The auto loader was also not quite automatic as the gunner or commander had to hand crank the drums. Some later versions had power driven drums I believe though. Autoloaders by there sheer design are of course intended to be automatic so the reasons for a manual load would only be in the event of a mechanical (or hydraulic in some systems) breakdown. 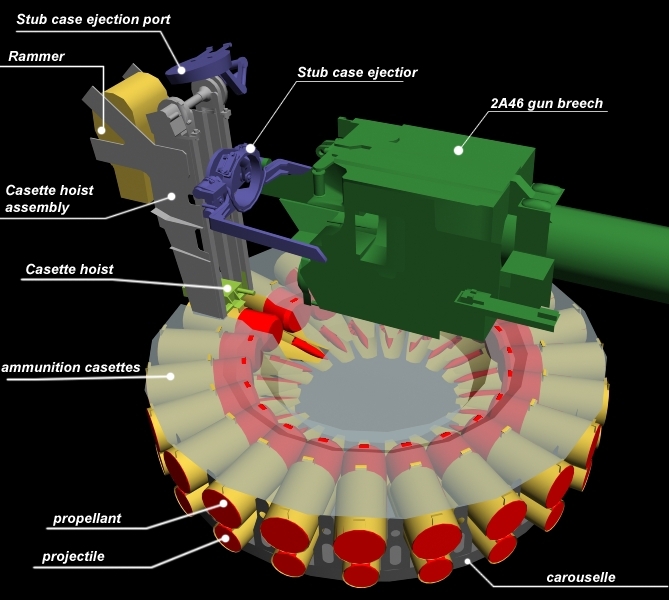 It would mean hand cranking the carousel which would dramatically increase the reload time. Thats the t-90's autoloader right? and the reason i would like to be able to choose between manual and auto is for example when i unload all my shells on a tank leaving him with 82 hp and then i have to run away and wait 37+some seconds to reload,would like to be able to load 1 shell for lets say10-12 seconds and finish him. I don't have any hopes whatsoever of something like this happening in the game tho,thats why i post here and i would like to hear your opinions. Edited by blodrik, 14 August 2012 - 11:08 AM. challenger I would like to ask a few questions. Since you used to serve on the chieften,I guess that you have been a tankie since the cold war. 1.Would you have ever wanted to be sided WITH Russian tank units, I always wanted to be with Nato and not agasint them. 2.Did you ever have "fanboys" as recruits?, I used to have to deal with something like 4/7 recruits thinking they are invicable. Not to mention in the end as a unit we just decided to use the old T-62s to train them instead of the later T-80s and T-90s etc. (Still have a limp from getting my leg jammed into a track where I had to rescue one from his overturned tank). 3.Regarding British tanks, did the slow speed of the later tanks such as the Challenger series ever prove to be a handicap? 10-12 second would probably be too little time for 100mm-105mm guns, considering the rate of fire such guns have on normal tanks. 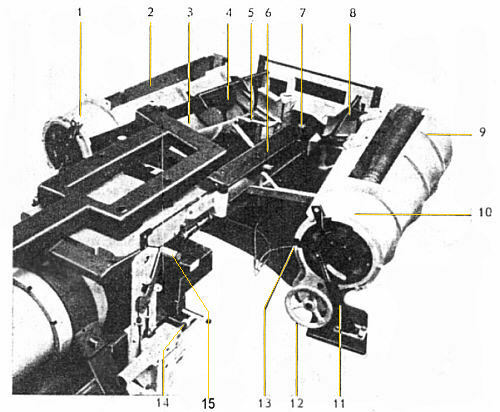 Stefan Kotsch's site does note that the manual loading would likely have been a rather lengthy process due to lack of space ("Allerdings ist der verfügbare Raum so erheblich eingeschränkt, das der Zeitbedarf bis zum Abschluß des manuellen Ladens sehr hoch sein dürfte."). Useful if the automatic loader fails to operate, but less useful for topping off single rounds. They have an original manual for the AMX 13 at Samur and I was shown a photocopy of the page describing the loading proceedure. My memory is not what it was but if I recall correctly it was around 12-15 minutes to reload completely from outside but nearly 25- 30 minutes to reload from the inside. 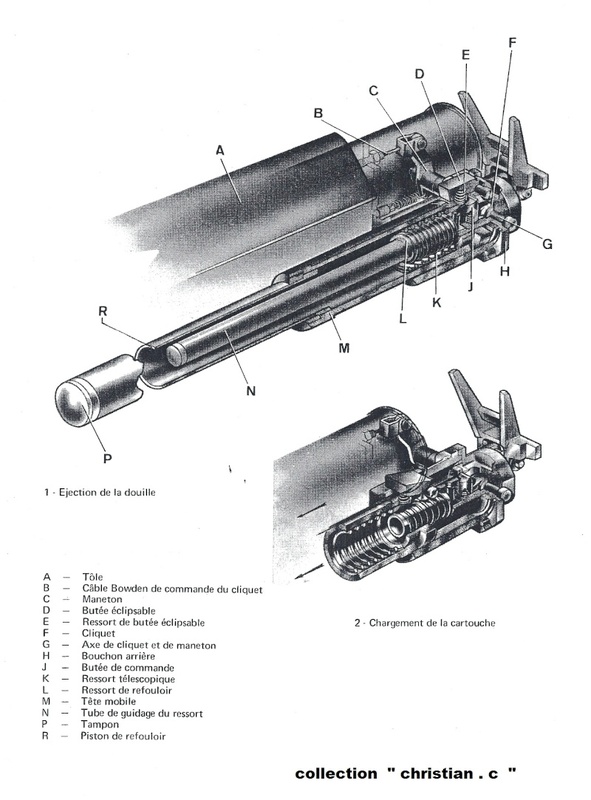 Looking at that it would appear to take around 1-2 minutes to load a single round from inside. 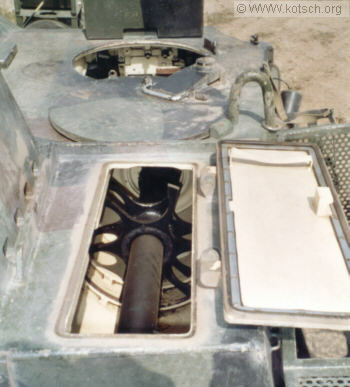 So unless you are pinned down by small arms fire and can't move (tank in a fixed position like Dien Bien Phu) it would make sense to reload from the outside. NBC considerations are probably limited as the crew would have to wear their NBC protection while inside anyway, although it would help prevent more contamination (mainly liquid) of the inside of the vehicle. Edited by Tigger3, 15 August 2012 - 09:51 AM. I wonder if the shell normalisation mechanics featured in WoT are just some gameplay feature, or are they similar to real life ballistics? I mean that AP and APCR ammo get compensation against sloped armor, on the contrary HEAT doesn't get it and is less effective against sloped armor (in WoT of course). Hey Challenger, silly question but... a debate came up in the Italian forum about the ship Bismarck, with a guy claiming that it was a Pocket Battleship. According to my sources, nobody even thought about considering it such, but what do I know!? So, to cut thing shorts: was the Bismarck a pocket battleship, or has it ever been considered one? Thank you! Bismarcks were full blown battleships, and rather large ones at that. The english language term "pocket battleship" is the Anglophone nickname for the three panzerschiffes (the actual German designation for them) of the Deutschland class. Yes but as a tankie not a sailor, bit of a difference between the two (not withstanding that tanks were originally envisaged as land battleships and that early British tank development was carried out under the auspices of the Admiralty). The Germans classed the Bismark as a Schlachtschiffe (Battleship) not a Panzerschiffe (Armouredship equivalent to the British Battlecruisers and also termed Pocket Battleships) like the Graf Spee. Lots of misinterpretation and generalisation. Edited by Tigger3, 16 August 2012 - 12:11 PM. Agreed.. Can that dude... Bismarck were full sized Battleships.. If they were pocket battleships, literally all battleships built from the 1920s to the 1940s would be pocket ones... That guy is a total idot.. Considering that with my 1.91 meters height (6ft 3in) I am rather tall. While that wasn't a problem in the Leo2, it was in almost any WW2 tank I climbed so far. So the pleasure is usually always mixed with some "Ouch what part of the tank did I hit now!?" Though I'd like to see how I'd fit into a KT. Well the Bismarck had almost four times the displacement of the Deutschland, was armed with 8x 38cm guns instead of 6x 28cm and almost70 meters longer... The Deutschland class was built to comply with the restrictions on the size of German warships (which led to the denomination as "Pocket Battleship") after WWI - the Bismarck class ignored those restrictions completely. Edited by Adwaenyth, 16 August 2012 - 03:02 PM. i have a question abot the view range of my M36 , it has 370 meters view range , with recon and situation awewrness how far will i see and allso with is beter , the coated optics (+10% view range up to 500 meters) or binocular telescop (+25% view range on stationary vehicle) and allso the "up to 500 meters" meens that 500 is the maximum distance i can see. Edited by Philipeu, 17 August 2012 - 07:47 PM. But also, what about talking those guys at Wargaming into a more modern WoT at some point? It was an honour to have met you and was a pleasure to have a chat with you at Gamescom last week. Apologies for lateness of reply, Gamescom was rather time consuming ! As for a more modern WoT, it has been discussed of course in many forums and who knows what the future may hold . From a personal perspective I would love it, of course there are immediately some issues that arise one of the most obvious perhaps the size of the maps as the ability/need for greater engagement ranges has increased dramatically, pace of battle and so on. Edited by The_Challenger, 22 August 2012 - 11:53 AM. Hey my friend, likewise, was so good to chat with you and thanks for the waffles Much appreciated. Now though i split my time between Military Operator and Military Vehicle refurbishment ( thats another story how i got into that lol ) and like yourself i have had the chance to be around many different vehicles from through the ages and have my own and others shared experiences to work with as to which is best or worse for that matter ! Happily i have to say W.O.T is not a bad all round game and in most cases is not too far from a semi realistic outcome of tank on tank warfare ( though the toughness of the T-54 is a little worrying after seeing the effects of 30mm Rarden on them in one desert environment ) and I'm glad to see a RTR bloke guiding them as best you can in a money making gaming environment. As for me it would be nice to have a Military advisor to a game try not to let the game become typical of almost every other military game on the market which makes Soviet/Russian equipment look like something as useless as a useless thing from a bag of useless things, as after all the reds did have the first laminate modern armour ( the T-64 which was never exported ) as well as the first efficient ERA which was being developed as far back as 1946 ( though technology couldn't keep up with the boffins ) and of course the Arena system ( which was in production as early as 1997 ).